2017.06.10 Georgetown Highland Games 4 N/A 27'3.0" 8.1lbs. N/A N/A 51'2.0" 29'3.0" 60'5.0" 50'2.0" 11'0.0"
2016.06.10 Georgetown Highland Games Women 6 N/A 24'0.0" 8.2lbs. N/A N/A 48'7.0" 28'3.0" N/A 48'5.0" 11'0.0"
2016.05.28 Greenville Scottish Games 4 N/A 23'10.0" 11.0lbs. 18'0.0" 12.0lbs. 02:30 17'0.0" 55.0lbs. 47'11.0" 26'0.0" 59'9.0" N/A 11'0.0"
2016.05.07 Savannah Scottish Games 2 N/A 23'0.0" 9.0lbs. 20'0.0" 10.0lbs. 12:45 16'0.0" 60.0lbs. 47'1.5" 26'2.0" 59'6.5" N/A 11'0.0"
2016.04.02 Key West Celtic Festival 5 21'5.3" 12.0lbs. 25'7.5" 8.2lbs. 18'0.0" 10.0lbs. N/A 43'7.8" 25'1.0" 54'7.5" N/A 10'0.0"
2016.04.02 Dunedin HIghland Games 4 N/A 23'2.0" 8.2lbs. 20'0.0" 12.0lbs. N/A 45'8.0" 28'2.0" 55'5.5" N/A 11'0.0"
2015.07.01 Embro Highland Games - Women 5 N/A 25'4.5" 8.1lbs. N/A N/A 43'0.0" N/A N/A 44'6.5" 10'0.0"
2015.01.10 Key West Celtic Festival 4 19'3.0" 13.8lbs. 23'5.5" 8.0lbs. 16'0.0" 10.0lbs. 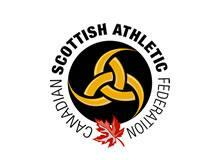 N/A 41'7.5" 23'7.5" 59'6.0" 49'1.0" 11'0.0"
2014.09.13 Niagara Celtic Heritage Festival and Highland Games 2 17'9.0" 12.2lbs. 23'11.0" 8.1lbs. 18'0.0" 10.0lbs. 10:00 12'0.0" 56.0lbs. 46'8.5" 22'10.5" N/A N/A 11'0.0"
2014.07.27 Highlands of Durham Games 5 N/A 26'8.5" 8.3lbs. 19'0.0" 10.0lbs. N/A 37'0.0" 25'2.0" 58'1.0" 44'7.0" 12'0.0"
2014.07.19 Glasgow Highland Games 4 20'0.0" 12.0lbs. 25'10.5" 8.0lbs. 18'6.0" 10.0lbs. 12:00 16'0.0" 60.0lbs. 44'5.5" N/A N/A 49'8.0" 11'0.0"
2014.07.13 Stuart Horse Trials Games 2 20'8.0" 12.0lbs. 21'9.0" 8.2lbs. 20'0.0" 10.0lbs. 12:00 17'0.0" 67.0lbs. 40'6.0" 25'2.0" N/A N/A 10'0.0"
2014.06.28 Belmont Highland Games 3 20'8.0" 12.8lbs. 26'6.0" 8.1lbs. 18'0.0" 10.0lbs. 12:00 15'0.0" 45.0lbs. 38'6.5" 23'10.5" 61'0.0" 47'7.0" 11'0.0"
2014.06.14 Georgetown Highland Games 7 N/A 24'0.0" 8.9lbs. N/A N/A 34'4.0" 26'4.0" 58'8.0" 43'3.0" 11'0.0"
2014.06.01 Dugout Bar & Sports Highland Games 1 17'9.0" 16.0lbs. 22'3.0" 11.0lbs. 16'0.0" 10.0lbs. 12:00 14'0.0" 40.0lbs. 43'7.0" 22'9.0" 59'1.0" N/A 10'0.0"
2014.05.04 NHAC Olcott Highand Games May 2 17'11.3" 16.0lbs. 19'8.0" 11.0lbs. 14'0.0" 10.0lbs. 02:30 14'0.0" 40.0lbs. 33'2.5" 18'10.5" N/A N/A 11'0.0"
2013.10.13 Bristol Mountain Fall Festival 3 19'5.5" 13.0lbs. 24'6.0" 8.0lbs. 18'0.0" 12.0lbs. N/A 35'11.5" 22'5.0" N/A N/A 9'0.0"
2013.09.15 Niagara Celtic Festival Day 2 4 16'4.8" 13.3lbs. 22'3.5" 9.0lbs. 14'0.0" 10.0lbs. 02:00 12'0.0" 56.0lbs. 35'11.5" 22'0.0" N/A N/A 11'0.0"
2013.09.14 Niagara Celtic Heritage Festival and Highland Games 6 18'8.0" 13.0lbs. 19'5.0" 9.3lbs. 15'0.0" 10.0lbs. 02:00 14'0.0" 40.0lbs. 33'6.0" 20'9.0" N/A N/A 9'0.0"